The Consumer Electronics Show (CES) has wowed gadget fans and tech heads for the last half a century, and each year the event demonstrates the rapid progression of consumer electronics and technology. Here, Michele Windsor, Global Marketing Manager at Accutronics, has explored some of the highlights from CES 2019 and how they underline the growing importance of battery technology. While it may still be called the Consumer Electronics Show, CES in recent years has been an eye-opening opportunity to see the technologies that will undoubtedly influence other sectors in years to come. With an increasing overlap between the types of devices we find in different fields, it’s no stretch to foresee that something like a smart UV light detecting sensor, launched for consumers, could easily find relevance in medical treatments for patients suffering from sun-sensitivity conditions like rosacea. It’s for this reason that CES caters to a range of electronics categories, from healthtech to 3D printing. Across all these areas, however, one thing remains a constant; the developments in modern technology are creating a growing need for reliable battery technology. As a professional battery manufacturer for many industries where performance matters, it was interesting for us at Accutronics to see how the latest medical devices, robots and home automation products at CES 2019 provided some of the strongest examples yet that effective batteries are a necessity. Home robots have come a long way from the troubled robot vacuum cleaners, or robovacs, launched in the 1990s. In fact, CES 2019 showed just how far robovacs themselves have come, with the Coral One robovac highlighting the perfect hybrid of autonomous and manual cleaning. The robot featured a detachable component that allowed owners to clean hard-to-reach areas that the robot itself couldn’t manage. It was effectively a robovac with a built-in handheld vacuum. It’s clear that the main objective of this product is to merge the role of robovacs and vacuum cleaners, so willing owners don’t need to purchase the two products separately. However, the mobility of the Coral One is facilitated by the fact it operates independently of mains power. So if it is to make the traditional vacuum a thing of the past, it needs a long-lasting, reliable battery to ensure a worthwhile lifespan. Some robovacs use bespoke manufacturer batteries that are either Nickel-Metal Hydride, which is more common in older models, or lithium-based. Conversely, handheld vacuum cleaners typically use off-the-shelf, CR123A model batteries. The interesting thing about the Coral One is that it requires only one battery: powering both the robot itself, and the removable component. While Coral states that the handheld can last for 20 minutes longer than the robot, this could be extended in future models by changing the types of batteries used.There are 90 minutes of battery for the full robot vacuum, 70 minutes for the handheld vacuum, and 20 minutes extra after full robot use in the handheld. Accutronics’ parent company, Ultralife Corporation, recently launched a new range of batteries for service robots. These CR123A model batteries claim to boast a higher energy density and longer operating life than competitor CR123As, which would mean that devices can last longer and provide more convenience to the end user. Alongside this, Accutronics’ bespoke battery manufacturing service helps ensure that robot manufacturers can get the perfect power supply. For manufacturers preferring an off-the-shelf solution, Ultralife Corporation’s lithium-iron phosphate batteries offer a suited fit for the robot unit. Unlike domestic robots, the home automation sector is one that has seen incremental improvement in recent years and hasn’t changed as significantly as robotics. However, CES 2019 highlighted that the next big change for the sector will be an unseen one, as products shift from Bluetooth to WiFi. Current home automation technology requires a central hub for every device in a network, such as smart lights, to connect to via Bluetooth. It’s this hub that is internet-enabled and that makes remote control possible. CES 2019 showed that brands are beginning to move away from hubs and are embracing directly WiFi compatible products. This is particularly evident with Legrand’s launch of the world’s first Open Connectivity Foundation (OCF) certified smart bulb, which offers out-of-the-box connectivity that works with other OCF-certified IoT devices, regardless of manufacturer. Consumers will benefit from a more streamlined process for setting up a device and integrating it into a smart network. As we make this shift to direct internet-connected devices, battery power becomes even more important as devices will be always connected. This means that smart device manufacturers should ensure the batteries powering their products are able to provide a reliable, effective performance. For example, sensors for home security systems could use long-lasting CR123A batteries to ensure a long life and reduce the frequency of replacement. Battery technology could also become a feature in WiFi connected devices by allowing for remote fuel gauging. If a battery includes accurate fuel gauging, which could be the case in bespoke batteries, the device can read this data and easily show it on a wireless network, much in the same way that a smart watch app highlights remaining charge. 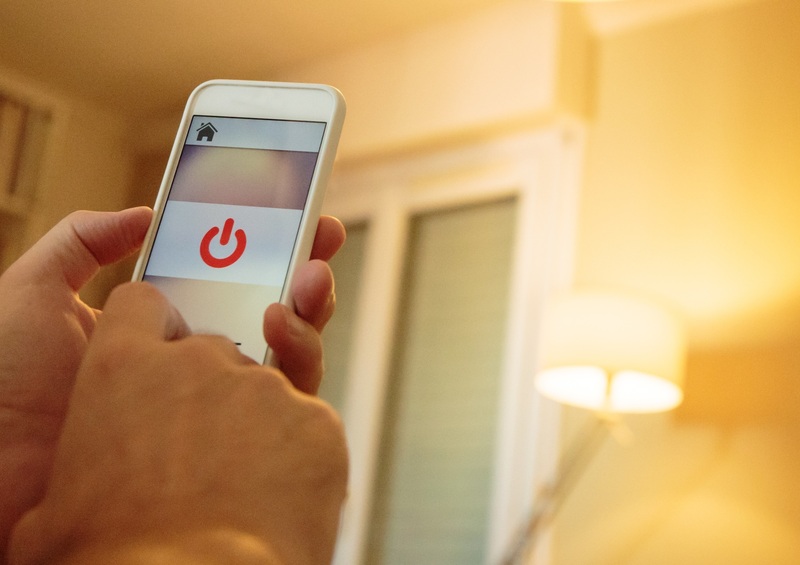 A web-based gateway for consumers to see their overall network health, including remaining device charge, could offer a new realm of convenience to users. Convenience and insight continue to inform the development of health technology, with wearable electronics proving once again popular at CES 2019. This has been a trend for the past few years, but we’re regularly seeing advancements in the biometric data wearables monitor and act upon. CES 2019 showcased the diversity of the issues that wearable health tech is being developed to address. Wearables in this sector have traditionally come in the form of hearing aids and smart watches, but this year’s event saw a wider variety, even in the form of discrete devices to help elderly people and those with disabilities to manage incontinence. The applications vary but the underlying theme is that wearable health tech in the consumer market is becoming increasingly impactful on the lives of users. As such, reliability and longevity become increasingly important, arguably more so than for existing wearables. For the user, the effectiveness of a device designed for the management of an impactful longstanding condition is akin to the importance of traditional medical equipment. For the manufacturers of these emerging healthcare technologies, it’s important to take a similar approach to product design as medical device manufacturers. That is, to work with specialist manufacturers of medical device components that are designed to perform in critical applications. Doing this will ensure that the product, although intended for home healthcare, is robust, effective and fit for purpose. Similarly, working with battery specialists allows manufacturers to get the best power supply for their device, even if space is a premium. For example, a wearable device with only a few millimetres of space available could benefit from the thin cell technology developed by Ultralife Corporation, which can be produced to be as thin as 1.25mm. Crucially, it still delivers the performance, energy density and operating versatility of a larger specialist battery. It isn’t often that we find such a strong link between domestic cleaning robots, smart lighting and incontinence management wearables, but CES 2019 has shown that modern technology is, both literally and figuratively, more interconnected than ever before. Battery technology will be integral to many devices we’ll see in the coming years, so design engineers should keep batteries in mind when planning the next step in modern electronics.